QuickNewsNow first media outlet in the state to report on this Breaking News. Publishing our initial story at 10:10 a.m.
At 10:00 p.m. on September 14, 2013, Missouri Task Force 1 (MO‐TF1) was activated by the Federal Emergency Management Agency to deploy to Colorado to assist with search and rescue efforts. 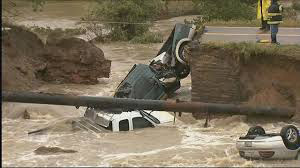 Massive flooding has affected 12 Colorado counties. Nevada Task Force 1 (NV‐TF1) was also activated yesterday evening. Four of FEMA Urban Search and Rescue Task Forces deployed to Colorado. Along with MO‐ TF1 and NV‐TF1, Nebraska Task Force 1 (NE‐TF1) and Utah Task Force 1 (UT‐TF1) were deployed previously and are already operating in the greater Boulder area. Colorado Task Force 1 (CO‐TF1) was deployed as a state asset. MO‐TF1, a Type 1 Urban Search and Rescue Task Force, left Columbia, MO from Boone County Fire District Headquarters by ground in 17 vehicles at 3:40 a.m. The Task Force will travel to the Fort Collins Armory in Fort Collins, CO.
Once there they will receive mission assignments from the Incident Management Team managing the incident. A Type I Urban Search and Rescue Task Force consists of 80 specially‐trained personnel, four disaster search canines and over 100,000 pounds of specialty equipment. Whenever the team deploys they are prepared to be fully self‐supportive for the first 72 hours and expect to be deployed up to 14 days at a time. Initial Breaking News (10:10 a.m.) - We have just learned that Missouri Task Force 1 (MTF1) was deployed earlier this morning according to our source after they received orders Friday morning to roster a "Type I Task Force" with water rescue assets for potential deployment in support of the current flooding through parts of Colorado. Two local area firefigther/paramedics, Brian Strubberg and Jeff Buchheit, are among the 80 member crew for Missouri Task Force 1. Before moving to Washington, Buchheit volunteered for the New Haven/Berger Fire Department (NHBFD) for over 20 years, serving as Fire Chief for 10. Strubberg is currently Assistant Fire Chief for NHBFD and has been with the department for over the past 10 years. Both Strubberg and Buchheit have worked for St. Charles' Fire & EMS Departments for the past six years. (Friday morning) Missouri Task Force 1 was joined by Nevada Task Force 1 in the ALERT status, which means both teams have rostered their positions and prepared for deployment should the request be received from Federal Emergency Management Agency Region. In addition to the task forces being deployed, FEMA has activated an Incident Support Team. Task Force 1 in the ALERT status which means both teams have rostered their positions and prepared for deployment should the request be received from Federal Emergency Management Agency Region. In addition to the task forces being deployed, FEMA has activated an Incident Support Team. Early Sunday morning MTSF1 received the order to deploy their crew. At this time MSTF1 has not received specific orders for what area of Colorado they will be stationed at. 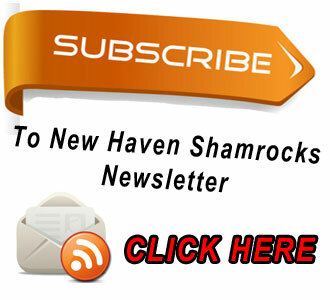 As of Friday, the IST, Nebraska and Utah task forces are en route to the Boulder, CO area. 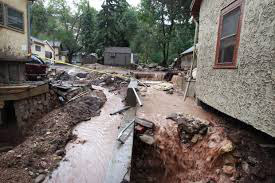 Blomenkamp said Friday, "Information received this morning from Colorado is that 3000+ people are missing or cut off and 200+ homes have been damaged or destroyed and need to be searched." As of 10 a.m., Sunday morning MTF1 was near Salina, Ks.